A good built villa in sector 37 , Its very close posh area of Faridabad with all basic amenities and well connectivity with South Delhi. The villa is structured for adequate natural lighting and is fully furnished. Prime location. Nearby NHPC metro station . Good connectivity. Market, ATM and shopping complexes are within reach with pollution free environment . 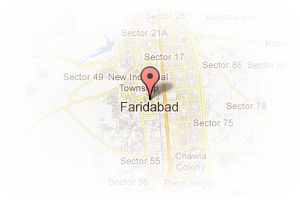 Address: sector 37, Sector 37, Faridabad, Haryana, India. This Broker Profile page for "Pusp Estate" has been created by PropertyWala.com. 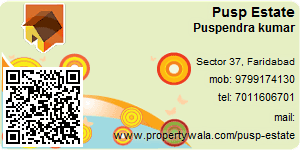 "Pusp Estate" is not endorsed by or affiliated with PropertyWala.com. For questions regarding Broker Profiles on PropertyWala.com please contact us.